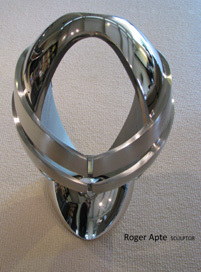 Materials Electroplated, high-polished nickel over cast silicone bronze,. 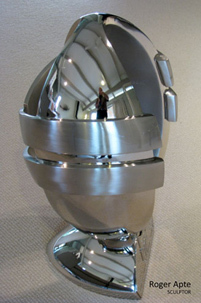 I created this national trophy for the NRL Under 20s Premiership. 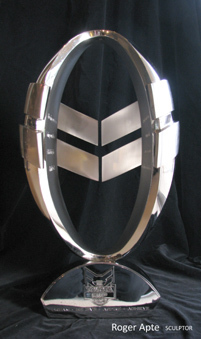 The Trophy is unique yet carries signals of its ownership by the NRL in the chevron motif, the NRL/Toyota logo on the front of the base and the NRL logo panel under the base. 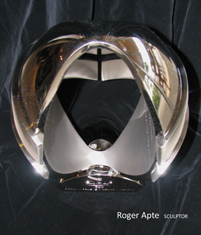 The shapes of the Trophy are directly derived from the Steeden ball used by the code. honing them with the discipline of hard work. 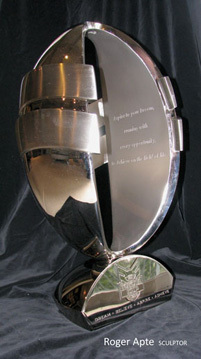 To Success on the field of life. 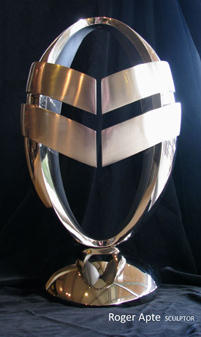 As is the original 1998 NRL Trophy, the Toyota Cup is cast in bronze but has been finished in high-polished nickel.